Dark Horse Comics just unleashed the StarCraft: Soldiers (StarCraft Volume 2) paperback details and release date. It will ship on August 20, 2019 and pre-orders are open. The new details reveal something I was not expecting. StarCraft: Soldiers is not an ongoing comics book series, as I previously posted and assumed. It is another 4-issue limited series. This paperback only collects issue #1-4. StarCraft: Soldiers #1 will be released as a stand-alone digital download on January 23, 2019 (for Kindle PC and Mobile). Jody Houser (Stranger Things, Star Wars) is joined by veteran animation and Blizzard Entertainment comics writer Andrew R. Robinson (Overwatch Anthology, World of Warcraft) as they co-plot StarCraft: Soldiers, with art by Miguel Sepulveda (Lone Wolf 2100, Green Lantern). Newly graduated Lieutenant Shivani Singh wants to defend the Dominion on the front lines, but it will take more than good grades and confidence to survive on the edge of zerg space. After a routine patrol goes awry, Singh launches an investigation to root out threats to the fragile peace between the Dominion and the zerg Swarm. Collects StarCraft Series 2, comics #1-#4. I have been an avid reader of all Blizzard properties that come to books and comics. I had a lot of expectations knowing that BlizzCon was in the horizon. In my opinion, Dark Horse Comics didn’t deliver a satisfactory story in StarCraft: Scavengers #1-4. I will explain in my review below. Jody Houser is a known writer in DC Comics and Marvel Comics with Justice League of America: Road to Rebirth, Supergirl, Star Wars: Rogue One Adaptation, Amazing Spiderman: Renew Your Vows (2016-2018), and Spider-Girls under her portfolio… to name a few. In advance of New York Comic Con 2018 (Oct 4-7), Dark Horse Comics and Blizzard Entertainment just announced a new series titled StarCraft: Soldiers. The new ongoing StarCraft comics series will launch on January 23, 2019. 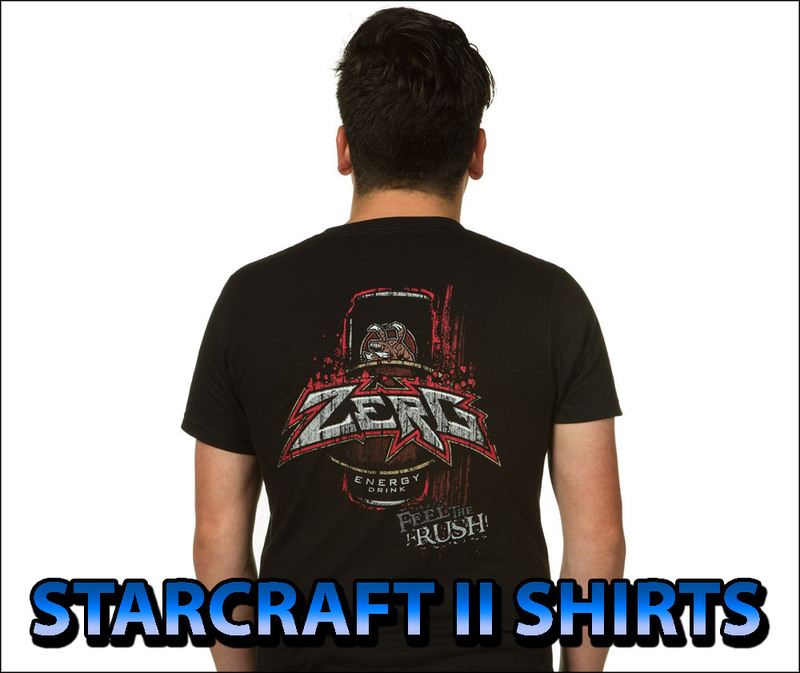 The exploration of the StarCraft universe continues to new frontiers! Following the success of StarCraft: Scavengers, Dark Horse and Blizzard Entertainment are excited to announce the next series in the StarCraft comics publishing line — StarCraft: Soldiers! Writer Jody Houser (Stranger Things, Star Wars) joins Blizzard Entertainment writer Andrew R. Robinson (Overwatch Anthology) on this latest addition to the StarCraft expanded universe. Artist Miguel Sepulveda (Lone Wolf 2100: Chase the Setting Sun, Red Lanterns), colorist Michael Atiyeh (StarCraft: Scavengers, World of Tanks: Citadel), and letterer Steve Dutro (The Fifth Beatle: The Brian Epstein Story, Plants vs. Zombies) round out this star-studded creative team. StarCraft: Soldiers #1 goes on sale January 23, 2019, and is available for pre-order at your local comic shop. The StarCraft: Scavengers TPB goes on sale February 19, 2019, and is available for pre-order on Amazon and Barnes & Noble, and at your local comic shop. The digital version of StarCraft: Scavengers #2, is now available for pre-order. It is slated to ship to your Kindle device on August 29. PC users can download the Windows Kindle App, or simply read it on their Amazon Library using Firefox. Mobile users can read it with the Free Kindle App via Google Play and the Apple App Store. Otherwise, pre-order the physical graphic novel for StarCraft: Scavengers which is slated to ship on February 29, 2019. Feel free to read my recent review of StarCraft: Scavengers # 1 to get a feel of this comics mini-series. The StarCraft: Scavengers # 1 is now available to download and read via Kindle. There are apps for PC and Mobile. The physical copy of StarCraft: Scavengers # 1 is now available as well with the Kerrigan Queen of Blades variant cover by TIMOTHY GREENE II (for $5.25). The StarCraft: Scavengers paperback (collecting all 4-issues) can also be pre-ordered. It will ship on February 19, 2019. The art and coloring of StarCraft: Scavengers # 1 looks very solid, and appealing. Background coloring resembles watercolor frescos. I am not sure how much the story will tell us in only 4-issues. This first installment barely scratched the surface and left more questions than answers. Being from Kel-Moria, all they know about the events in Dominion space, these past years, is basically hearsay and vague. Chau Sara and Kerrigan the Queen of Blades are mentioned too briefly. Characters are not thoroughly fleshed out, either. Out of at least 12 crew members, we only know the name of 5. The Kel-Morian scavengers, crew of the Magpie ship, infiltrate Dominion space to scavenge a derelict protoss ship found on a decaying orbit around a uninhabited planet. The idea is that if the protoss ship is about to crash through the atmosphere, there would be no evidence left behind of their scavenging. It doesn’t matter that it is a dangerous and illegal operation, the crew was told by Captain Theban that the risk was worth the reward, and offered double profits. The Dark Horse Comics’ StarCraft: Scavengers (Kindle) pre-orders have suddenly changed release date to July 25, 2018 for only $3.99. Personally, I don’t know if it is a mistake, but when in doubt, if it is there… go ahead and pre-order ASAP. The original StarCraft: Scavengers Kindle page is still there with a February 19, 2019 release date for $9.99. Writer Jody Houser (Mother Panic, Faith) and artist Gabriel Guzmán (Mass Effect, Star Wars) join forces for StarCraft, a new series further exploring the expansive universe of Blizzard’s hit video game. Seen from the point of view of a young, inexperienced engineer, a group of terran space scavengers hope to pull off the job of their lifetimes, ignoring a recent United Earth Directorate treaty to pillage a derelict protoss ship. The scavengers’ dangerous plan is compounded by the fact that the protoss ship is in a decaying orbit above a backwater planet. If their time doesn’t run out and Dominion police forces don’t bust them, will protoss or zerg factions in the outer rim find and execute them? Blizzard Entertainment and Dark Horse Comics teamed together to publish StarCraft Volume 1: Scavengers by Jody Houser (writer) and Gabriel Guzmán (artist). The graphic novel is slated to ship on February 19, 2019. You can pre-order it now. Blizzard Entertainment is relaunching classic StarCraft novels and manga in 2017 under the Blizzard Legends publishing label. Blizzard Entertainment unveiled the StarCraft II: Legacy of the Void opening cinematic featuring the reclamation of Aiur. This is by far the most realistic cinematic showing protoss zealots, templars, and even an archon fighting waves of zerg. to get guaranteed access to beta, plus FREE shipping. You’ll also get immediate access to the three-mission Prologue: “Whispers of Oblivion“, the multiplayer beta, automated tournaments, Archon mode, and more! Remember, purchasing Legacy of the Void unlocks the playable Artanis Warrior Hero in Heroes of the Storm. Or get the Starcraft II: Legacy of the Void Collector’s Edition (plus all the Standard Edition bonuses).